In the early half of the 1970s, Iturbide traveled widely across Latin America in particular to Cuba and several trips to Panama. In 1978 Iturbide was commissioned by the Ethnographic Archive of the National Indigenous Institute of Mexico to photograph Mexico’s indigenous population. Iturbide decided to document and record the way of life of the Seri Indians, a group of fisherman living a nomadic lifestyle in the Sonora desert in the north west of Mexico, along the border with Arizona, US. In 1979 she was invited by the artist Francisco Toledo to photograph the Juchitán people who form part of the Zapotec culture native to Oaxaca in southern Mexico. Iturbide’s series that started in 1979 and runs through to 1988 resulted in the publication of her book Juchitán de las Mujeres in 1989. Between 1980 and 2000, Iturbide was variously invited to work in Cuba, East Germany, India, Madagascar, Hungary, Paris and the US, producing a number of important bodies of work. She has enjoyed solo exhibitions at the Centre Pompidou (1982), San Francisco Museum of Modern Art (1990), Philadelphia Museum of Art (1997), Paul Getty Museum (2007), MAPFRE Foudation, Madrid (2009),Photography Museum Winterthur (2009), and Barbican Art Gallery (2012), between others. Iturbide is the recipient of the W. Eugene Smith Memorial Foundation Award, 1987; the Grand Prize Mois de la Photo, Paris, 1988; a Guggenheim Fellowship for the project ‘Fiesta y Muerte’, 1988; the Hugo Erfurth Award, Leverkusen, Germany, 1989; the International Grand Prize, Hokkaido, Japan, 1990; the Rencontres Internationales de la Photographie Award, Arles, 1991; the Hasselblad Award, 2008; the National Prize of Sciences and Arts in Mexico City in 2008; an Honorary Degree in photography from the Columbia College Chicago in 2008; and an Honorary Doctorate of Arts from the San Francisco Art Institute in 2009.In 2014 the National Council of the Arts in Mexico organized a National Homage for her achievements in photography, which was accompanied by an Academic degree at the Art Academia of the Arts. 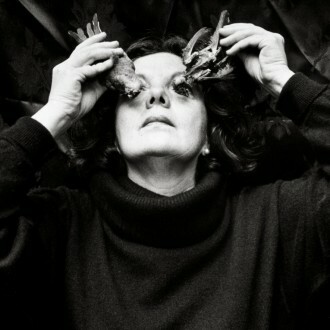 Most recently, Graciela Iturbide was the 2015 recipient of the Cornell Capa Lifetime Achievement Award. Iturbide, who is known for her black-and-white photos of Mexican people and landscapes won her the ultimate prize, the Cornell Capa Lifetime Achievement award. The Infinity Awards were inaugurated in 1985 to bring public attention to outstanding achievements in photography by honoring individuals with distinguished careers in the field and by identifying future luminaries. She continues to live and work in Mexico City. To know more about Iturbide’s work, here. Graciela Iturbide: When I was a girl my father, a photography aficionado, used to constantly take our photos. I always loved looking at the prints that he used to keep inside a wardrobe. Later on, when I was eleven, he gave me a Brownie Camera as a gift and from then I started to take photographs of everything around me. FF: What motivates you to make photographic projects? GI: What motivates me are the surprises I know I am going to discover. The camera is a means of knowing the culture and customs of every place. FF: Is there something specific that inspires you about Latin America? GI: Simply to always know its culture. FF: What was your first photographic project? GI: My first photographic project was Juchitán de las Mujeres (The Women’s Juchitán). Francisco Toledo, a great artist, invited me to do some work in this place. The first photos I took were taken back to a cultural house so the people of Juchitán could see them. Little by little I kept returning until Toledo suggested we make a book out of these photographic works. FF: What led you to photograph so many birds throughout your career? FF: What do you aim to explore in your self-portraits? GI: They are photographs that I take in an intuitive manner; maybe I make them to explore my unconscious. FF: Describe your experience of photographing Frida Kahlo’s bathroom? GI: My work on Frida’s bathroom was a coincidence. I was in the museum photographing other things when I saw that they had just opened the bathroom. I asked the director, Hilda Trujillo, for permission to take photographs and she gave her consent immediately. The next day I entered the bathroom with my camera. The room smelt really bad as it had been closed for fifty years. It was very emotional to find these objects marked with pain. I took photographs, interpreting it in my own way. It was a very powerful experience. FF: Do you consider your work to be autobiographical? Please explain your answer to us a little. GI: All work is autobiographical in some way. One discovers a path that surprises and simultaneously provokes investigation. I find the places where I work intriguing and, little by little, this enriches the work. FF: Tell us a little about your process in making a book or a publication. GI: My process is lengthy. I examine the negatives and print small photographs from them. I then generally edit my work with someone who I feel is on the same wavelength as me; the same thing goes for any text. I prefer that poets and writers look over this work. FF: Do you still photograph with rolls of film? GI: Yes, I continue to work with analogue, for me this has always been a great ritual. FF: Nowadays, in a photographic era more digital than analogue, how do you view Latin American photography? GI: Latin America photography is very interesting; I can say the same for Spanish and English photography etc. etc. Everything depends on who is behind the camera. Every photographer has the right to photograph what they desire, by whatever means, from using a cardboard box and constructing it into a photographic apparatus to using a digital camera. The important thing is the result. Awarded Acquisition Prize. I Biennale of Photography, INBA, Mexico City. Production Grant for a Photographic Essay: Recuerdos de Infancia. Consejo Mexicano de Fotografía, Mexico City. Awarded prize for the series: El empleo o su carencia. UN- International Labor Organization. Picture of the year, Second Place ¨Magazine Feature¨ Award for the images on a Deaf Mute Gang. University of Missouri, School of Journalism, and the National Press Photographers Association. W. Eugene Smith Award for the series: Juchitán. W. Eugene Smith Memorial Foundation. Guggenheim Fellowship for her project Fiesta y Muerte. Grand Prize. Mois de la Photo in Paris. Hugo Erfurth Award. Leverküsen, Germany. Awarded International Grand Prize. Hokkaido, Japan. Award at the Rencontres Photographiques. Arles, France. Distinguished Visiting Professor Prize. Denver, Arizona. Legacy Award. Smithsonian Latino Center, Washington D.C.
Honorary Degree in photography. Museum of Contemporary Photography at Columbia College Chicago. The Hasselblad Foundation Photography Award. Sweden. National Prize of Sciences and Arts, Mexico City. Honorary Doctorate of Arts. San Francisco Art Institute. Prize PhotoEspaña Baume & Mercier. Festival PhotoEspaña, Madrid. Lucie Award for Achievement in Fine Art. New York City. Premio Trayectoria Artística. Chobi Mela VII International Festival of Photography, Dakha, Bangladesh. A principios de los años 70, Iturbide viajó a través de Latinoamérica, en particular a Cuba y Panamá. indígena del país. Iturbide decidió fotografiar el pueblo Seri, un grupo de pescadores nómadas en el desierto de Sonora al noroeste de México y cercano a la frontera con Arizona. Ha expuesto individualmente en el Centre Pompidou (1982), el San Francisco Museum of ModernArt (1990), el Philadelphia Museum of Art (1997), el Paul Getty Museum (2007), la Fundación MAPFRE, Madrid (2009), el PhotographyMuseum Winterthur (2009) y la Barbican Art Gallery (2012), entre otros. Iturbide ha recibido el premio de la W. Eugene Smith Memorial Foundation, 1987; el Grand Prize Mois de la Photo, Paris, 1988; la Guggenheim Fellowship por el proyecto ‘Fiesta y Muerte’, 1988; el Hugo Erfurth Award, Leverkusen,Alemania, 1989; el InternationalGrand Prize, Hokkaido, Japón, 1990; el premio Rencontres Internationales de la Photographie, Arles, 1991; el premio Hasselblad, 2008; el PremioNacional de Ciencias y Artes, Ciudad de México, 2008; el Doctor honoris causa en Fotografía por el Columbia College Chicago en 2008; y el Doctor honoris causa en Artes por el San Francisco Art Institute en 2009. Continúa viviendo y trabajando en la Ciudad de México. recientemente fue galardonada el premio Cornell Capa Lifetime Achievement Award. Para saber más sobre el trabajo de Graciela, aquí. Primer Premio. I Bienal de Fotografía, INBA, Ciudad de México. Beca de producción para el sensayo:Recuerdos de Infancia. Consejo Mexicano de Fotografía, Ciudad de México. Premio por la serie: El empleo o su carencia. UNESCO – International Labor Organization. Fotografía del año, Segundo premio. ¨Magazine Feature¨ Award, University of Missouri, School of Journalism y National Press Photographers Association. Premio W. Eugene Smith por la serie: Juchitán. W. Eugene Smith Memorial Foundation. Beca de la Fundación Guggenheim por el proyecto: Fiesta y Muerte. Gran Premio. Mois de la Photo, París. Premio Hugo Erfurth. Leverküsen, Alemania. Gran Premio Internacional. Museo de la Fotografía, Hokkaido, Japón. Premio Rencontres Photographiques. Arles, Francia. Beca Richard T. Castro Distinguished Visiting Professor. Denver, Arizona. Premio de la Ciudad de Beveneto, Italia. Premio Legacy Award. Smithsonian Latino Center. Washington, Estados Unidos. Honorary Degree en fotografía. Museum of Contemporary Photography, Columbia College, Chicago, Estados Unidos. Premio de la Fundación Hasselblad. Gotemburgo, Suecia. Premio Nacional de las Artes, Ciudad de México. Honorary Doctorate of Arts. San Francisco Art Institute, Estados Unidos. Premio PhotoEspaña Baume & Mercier. Festival PhotoEspaña, Madrid, España. Premio Lucie Award. Nueva York, Estados Unidos. Graciela Iturbide: Cuando yo era niña, mi padre, fotógrafo aficionado, constantemente nos hacia retratos. A mi me encantaba ver las impresiones que guardaba en un ropero, más tarde, a los 11 años, me regaló una cámara Brownie y así empecé a fotografiar lo que me rodeaba. F.F:¿Qué te motiva a realizar proyectos fotográficos? G.I:Me motiva la sorpresa de lo que voy a encontrar, la cámara es un pretexto para conocer la cultura y las costumbres de cada lugar. F.F: ¿Hay algo en específico que te inspire de Latinoamérica? G.I: Simplemente conocer su cultura. F.F: ¿Cuál fue tu primer proyecto fotográfico? G.I: Mi primer proyecto fue “Juchitán de las mujeres”. Francisco Toledo, un gran artista, me invitó para hacer un trabajo en este lugar. Las primeras fotos que tomé regresaron a la casa de la cultura para que la gente del lugar las pudiera ver. Poco a poco fui regresando hasta llegar a hacer un libro que Toledo me propuso. F.F:¿Por qué has fotografiado tantos pájaros a lo largo de tu carrera? G.I: Siempre he tenido interés por el vuelo de los pájaros tanto en la literatura como el poder captarlos en su vuelo. San Juan de la Cruz, el poeta místico dice: “Las cualidades del pájaro solitario son cinco; la primera, que se va lo más alto; la segunda, que no sufre compañía, aunque sea de su naturaleza; la tercera, que pone el pico al aire; la cuarta, que no tiene determinado color; la quinta, que canta suavemente. F.F: ¿Qué buscas explorar en tus autorretratos? G.I: Son fotos que tomo de una manera intuitiva, quizá los hago para descubrir mi inconsciente. F.F: ¿Cómo fue tu experiencia fotografiando el baño de Frida Kahlo? G.I: Mi trabajo en el baño de Frida fue una coincidencia. Yo estaba en el museo para fotografiar otras cosas, cuando vi que acaban de abrir el baño, pedí permiso a la directora Hilda Trujillo y me lo dio inmediatamente. Al día siguiente, entré con mi cámara, el baño olía muy mal (estuvo cerrado cincuenta años). Yo estaba muy emocionada de encontrar estos objetos de dolor. Así los fotografié, interpretándolos a mi manera, en el mismo baño. Fue una experiencia muy fuerte. G.I: Todo trabajo de alguna manera es autobiográfico. Uno encuentra en el camino lo que le sorprende y esa misma sorpresa provoca una investigación, sobre los lugares donde estoy trabajando, y así poco a poco se enriquece el trabajo. F.F: Explícanos un poco como es tu proceso en realizar un libro o publicación. G.I: Mi proceso es largo. Busco los negativos, imprimo fotos pequeñas y generalmente lo edito con la persona que siento que es la adecuada, lo mismo pasa con el texto. Prefiero que sean poetas o escritores quienes interpreten mi trabajo. F.F: ¿Continúas fotografiando con rollo (película)? G.I: Si, continuo con el trabajo análogo, para mi siempre ha sido un gran ritual. F.F: ¿Cómo ves la fotografía en Latinoamérica hoy en día en una era mucho más digital que análoga? G.I: La fotografía en América Latina es muy interesante, lo mismo puedo decir de la española de la inglesa, etcétera, etcétera. Todo depende de quien esté detrás de la cámara. Cada fotógrafo tiene derecho a fotografiar como lo desee, tanto usando una caja de cartón que se construye como aparato fotográfico, como usando la cámara digital. Lo importante es el resultado.